In describing contemporary art, anything from the 1960’s or 1970’s to the present definitely seems within its scope. As the period is continuing to progress while we live it, the true definition of this period of art is yet to be fully identified. Having said that, I defy any art critic who believes they can put a true label onto today’s medium of art types that covers the paint-on-canvas approach simply: any definition of contemporary art must include the varied nature of the mediums now available to us and will include both mixed media and multimedia art forms. 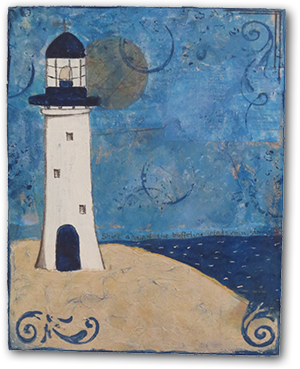 Many elements come together to make up today’s definition of mixed media art; it includes painting, collage, assemblage, recycling, journaling and drawing across a range of substrates. The foundation for many mixed media pieces may be traditional type canvas or modern versions, including clay board or wooden panels. Other substrates include paper, bound journals or altered books. And not only oil or acrylic paints are used; pastels, ink washes, markers and rubber art stamps are all used to add markings to artwork. The key to great mixed media art includes the composition of each piece. The traditional competition rules tend to apply. How the disparate elements are brought together is where the genius of the true mixed-media artist shines through. Contemporary artists like Seth Apter can bring discarded objects, old books and everyday elements together to create brilliant works of assemblage, or alternatively, lovely paper-based collages or altered books. Both spheres of mixed media can be used interchangeably. Artists have a range of backgrounds and training. Some arrive at the mix media art form through formal, fine art training. Many others come through a craft background and are self taught. Multimedia art brings together our dominant senses – sight and sound – to create works of art that are often computer generated. It may include traditional art forms like sculpture, but adds the dimension of sound to truly appeal to our emotions. Alternatively it may be more like moving pictures of art. Sometimes they are like a movie or cartoon, other times they are simple moving images like a sophisticated slide show. When the artist brings mediums other than just our sense of sight into works of art, they more easily appeal to our emotions. Artists of the multimedia form tend to come from computer design backgrounds, although some universities offer multimedia art courses. As the new century continues to unfold, the definition of contemporary art will continue to evolve, but we can rest assured that the multimedia and various other mixed media facets will be included in the art history annuals. One thing that we’ve found from working with embroidery is a huge resurgence in the classical art of embroidery. There are two basic types: machine and hand embroidery. This often involves using industrial machines to transfer a digitized image, such as a logo, onto a tshirt, hat or towel. The process starts with converting a picture or sketch to a digital version. This has to contain the instructions for the colours, patterns and stitches. The stitches shouldn’t be too long or you risk the whole thing falling apart. The main differences between machine and hand embroidery is the speed and craftmanship aspects. Whereas with machine embroidery, most of the work is in creating the pattern, when you do hand embroidery, you’ll spend most of the time stitching. People who do hand embroidery usually buy patterns already made up. You’ll need the right tools, but as long as you have an embroidery hoop and the right needles & thread, you’ll be fine. So why the resurgence? A lot of it has to do with the movement back towards most of the crafts. People, especially women, are spending their leisure time doing scrapbooking, sewing, embroidering, decorating cakes, and otherwise creating beautiful artwork. But don’t think it’s just the ladies getting into embroidery: don’t tell anyone, but there are more lads embroidering than you might first guess. Whatever the cause of the resurgence of embroidery, we are glad it is making a comeback. It’s a low risk way, without much expense, for people to create beautiful artwork that can be used for pillows, tablecloths or other items. There’s a great joy in creating an amazing stitched work of art. Click here to learn more about the art of embroidery. Efficient communication with your fellow employees is vital to your achieving success and satisfaction in your workplace. Effective communication in the workplace could be particularly difficult since people we wouldn’t normally pick to spend time with often surround us. It’s a bit like the expression, “one can not select your family.” It usually happens that you cannot choose one’s fellow employees either. Have you thought of how your co-workers perceive the things you say? Have you ever thought about what other people think of your tone, loudness and expressions? 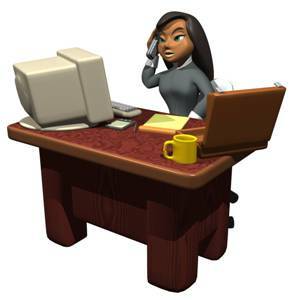 Do your co-workers consider you to be a serious man or women not just at work but also in other circumstances? Do you feel happy with your communication abilities? Successful workplace communication not only improves workplace connections, it also enhances workplace productivity. While transition is unavoidable in life and office, how it is presented contributes greatly to the how it is received, perceived and responded to. Productive communication with your fellow employees presents you and your opinions as the most suitable person for the position. Thus interacting properly is vital in every area of your life. To help you in devising an effective approach to communication in the workplace, consider the following. Begin with looking carefully at the established employee communication practices at your workplace. By using these insights, you can build a communication approach that fits your office as well as the culture you want. Before you begin engaging you really should take a deep breath and concentrate on what it is you should say first. Don’t forget to pay attention to your listeners and not on yourself, which should help you to be a lot more relaxed and give you a sense of self-confidence. Having some eye contact is vital for successful workplace communication. Yet, you may want to stay away from staring at people given that they could feel a little uncomfortable. Be certain to look at people for short periods as a way to build a connection. A potential hurdle for effective communication in the workplace is simply the craft of interacting with your fellow employees. You may be thinking “but I understand how to interact; I do it on a regular basis.” Yet when it comes to addressing people we don’t know very well, interaction can be hard. Workplace communication skills are not acquired in one day but it really needs work on it and a will to do it from within. Productive communication at work helps you in thinking and articulating your opinions correctly. With enough patience, you can master the art of workplace communication. Chairs are one of the most versatile pieces of furniture as they can be used anywhere in the house. Whether you are in a living room, bedroom, kitchen, or even in the garden, you should have at least one of these cute household furnishings. There are many designs and styles of chairs to choose from. Whatever design you choose you would find incredible versatility from these. Most of the chairs today are light weight, stylish, modern, functional and also quite durable. Having chairs is very easy these days. If there’s an emergency and you really need one, you can simply get to a furniture shop and choose the one that you want. You can choose based on materials, design, theme, style and type. While most of us would choose to buy a chair, there are also some people who build their own. Here are some reasons why building a chair can somehow be better than simply buying one. There are so many places where you can purchase a chair. You can even choose your preferred style online. However, it is quite tough to look for a chair that exactly reflects your personality. By building your own chair, you can ensure that it reflects what’s inside your heart and your personality. The way an entire house is arranged can describe its residents. The same thing is with all the furnishings that can be found here. It would be truly joyful sitting in a chair that you manually labored for. Most of the chairs which are available in the market today are of great structural design. However, manufacturers tend to prioritize their chairs’ aesthetics over other important things. Angular braces and special screws are needed to make sure that the chair could withstand any weight and the passing of time. However, because of the fact that these accessories can affect the beauty of the chair, most manufacturers avoid these. As you build your own chair, you can choose whatever reinforcements you think will be helpful for your chairs. If your goal is to pass on your chair to the next generations of your family, it is the best option. You can also ask for some recommendations from your family regarding design and styles. Face it, many of the existing chairs today are simply not your cup of tea. Despite the fact that there are more styles to choose from today, it’s still hard to find something which you can enjoy for a very long time. With this, it’s really much better if you will just construct your own chair. Who says that constructing a chair is an ordeal? Well, it can really be if you are not fully knowledgeable about what you are doing. If you have read enough materials and tips on how to do it, you can surely have a wonderful chair and enjoy the whole process.